Made for my niece from the Oh, Fransson! 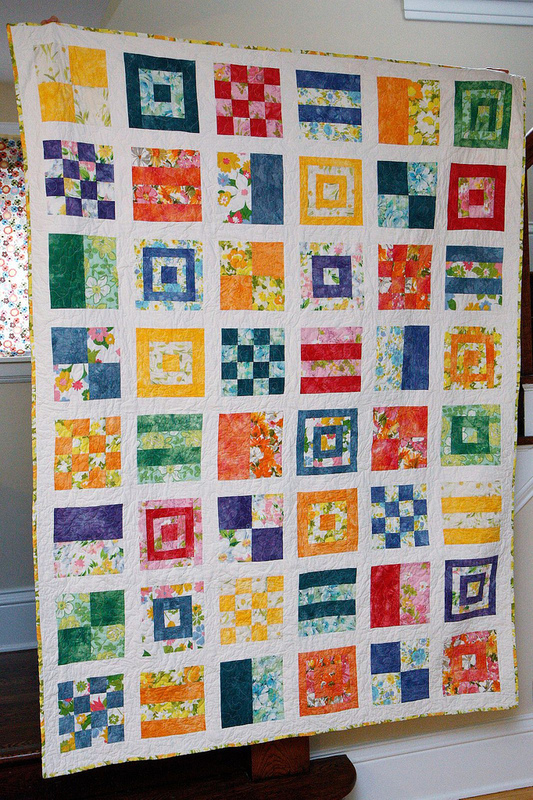 Mod sampler quilt along. I used up my entire stash of hand-dyed fabrics that I collected from ebay before I was dyeing my own fabric. I paired the hand-dyed fabric with vintage sheets, and I backed and bound it with a vintage sheet. 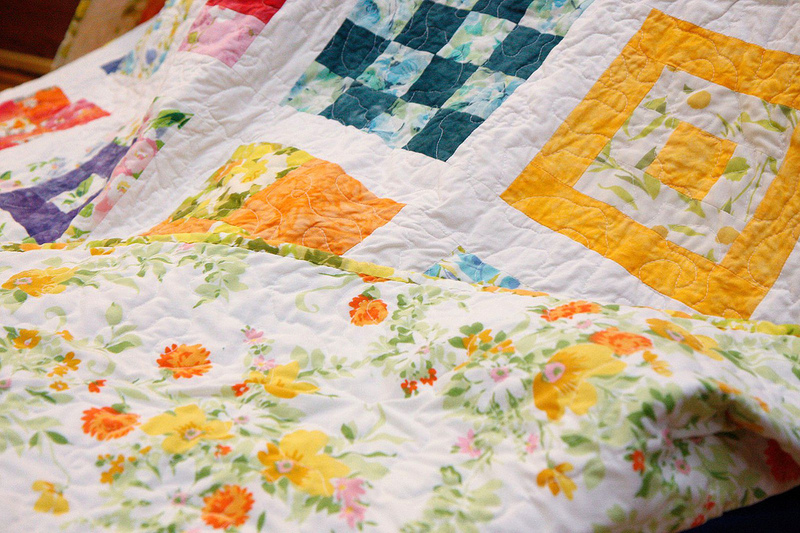 I was not crazy about this one from a distance; I think the contrast between the hand-dyed fabric and the vintage sheets was too high, giving what I wanted to be a soft, floral quilt too much of a geometric vibe. The blocks are very pretty close up, though.